Thursday, March 14th, I visited Florence Bay together with Angelique. It was nice to have Angelique with me on my tour. 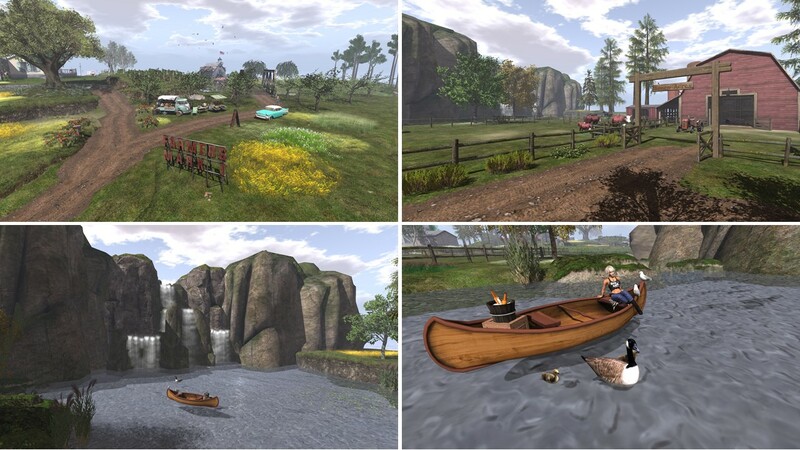 I had the landmark on my list of places for a while already since I read Inara Pey’s blog post “A rendezvous with Florence Bay in Second Life” back in September 2018. 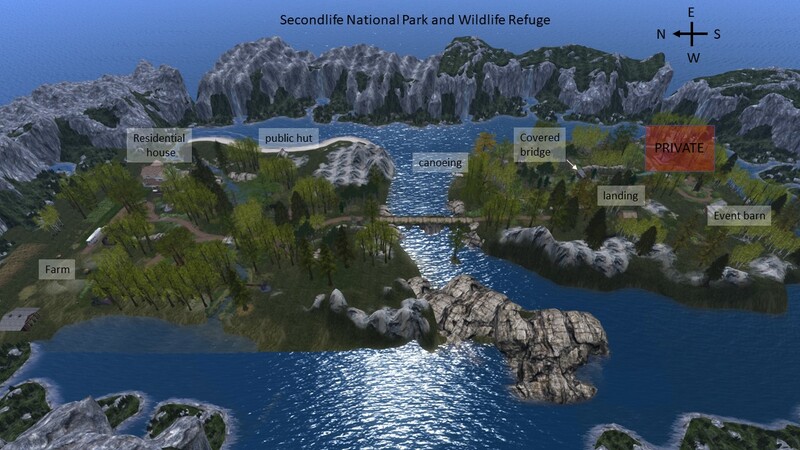 Just a few days before I finally went visiting, Florence Bay was also listed again in scoop.it SL Destinations. 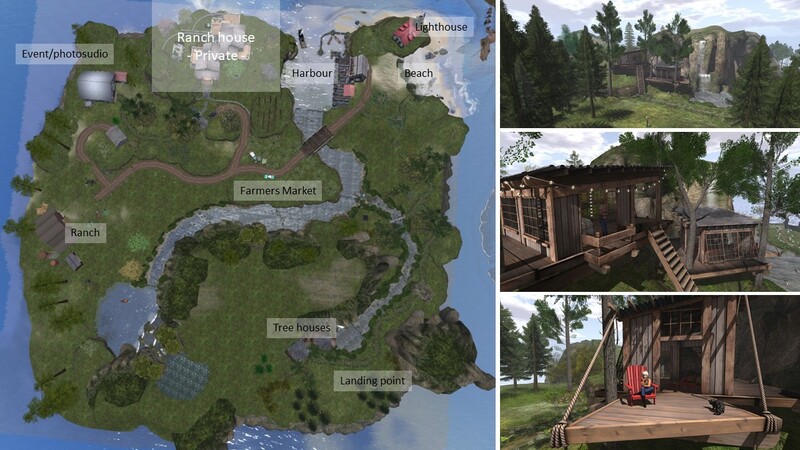 Florence Bay is a (moderate) homestead owned by Gnaaah Xeltentat and Tomaso Franizzi. It was originally designed, created and landscaped by Minnie Atlass. Florence Bay is a rocky island with dark gravel shores formed in the shape of a horse shoe. The landing is at a pier close to a lighthouse at one end of the horse shoe. Angelique and I searched a way from there to the houses we could see from the landing pier but there’s no path. Hence we had to climb and search our own way. We first went to the lighthouse and then back, climbed up the rocks and visited the cafe, from which you have a nice overlook over the bay. We both wondered how the guests may reach the cafe. Quite close to the landing is another curiosity – a garage with car, but there’re no streets on the whole island. 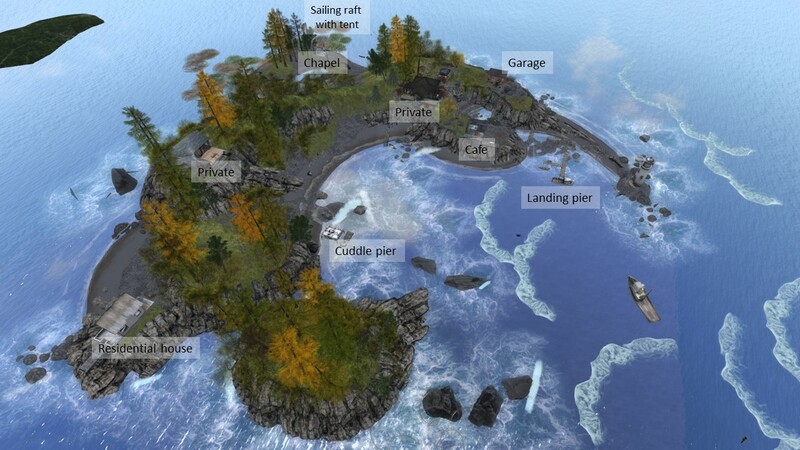 From the garage you can walk on the top of the rocks along the whole island and make side trips to the shore. But don’t expect too many paths. There’re stairs from the shore to the rim of the rocks at some places though. Angelique and I visited the chapel which had another curiosity in stock for us, as there’s no altar but a buddha statue inside of it. We went to the raft with a tent and a sail, that is nearby. And we had fun sitting on a bench that is in front of two funny birds who seemingly talked with us. Florence Bay has two private residences, those of Gnaaah Xeltentat and Tomaso Franizzi and you’re kindly asked to respect the privacy there. Gnaaah confirmed to me later, when I had the opportunity to talk with him, that the rest of Florence Bay is public. Florence Bay offers a lot of beautiful views and places to cuddle and enjoy And Angelique and I enjoyed exploring as well as trying out some of the places to sit and cuddle. There’s a lot of nature and animals like birds, seals, deers and many other who live peacefully here. And of course I took many pictures. We ended our visit with a long stay on the cuddle pier just below of one of the private houses. A seal was watching us and a few other seals were sunbathing close by. Florence Bay is a peaceful place to retreat to. It’s once again a personal dreamworld, and we could sense the love and the passion that went into it’s creation. I appreciate a lot that Gnaaah Xeltentat and Tomaso Franizzi share their world with the public. Thank you! And the above mentioned curiosities just make Florence Bay a bit more unique and outstanding. 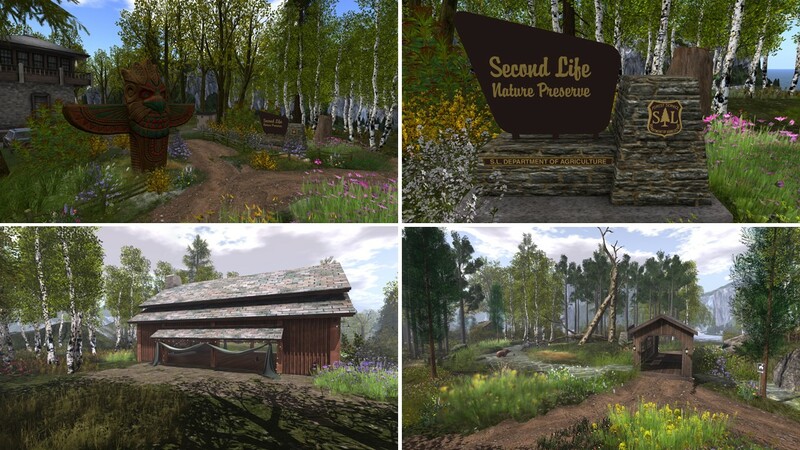 Inspired by scoop.it SL Destinations and by Inara Pey’s blogpost “A Provincial Life in Second Life” I made a simploring tour to Provincial Life. In fact I didn’t just visit Provincial Life but also High Rock and Provincial Life too, different plots of one and the same homestead. I didn’t go to the 2nd Island on this homestead as it is obviously private. Provincial Life is rural, beautiful and and offers wonderful views with many opportunities to take pictures. Close to the landing is a small house, fully furnished and sort of a spontaneous event area with a truck which loading area is used as a stage. Wild horses graze peacefully not only here but on the whole Island, an old rusted tractor is used to adverstise a farmer market, cats, dogs and other pets roam around. Not far from the house is a nice spot at the shore to sit and mediate and a cosy hut, where you can just enjoy the environment and cuddle. 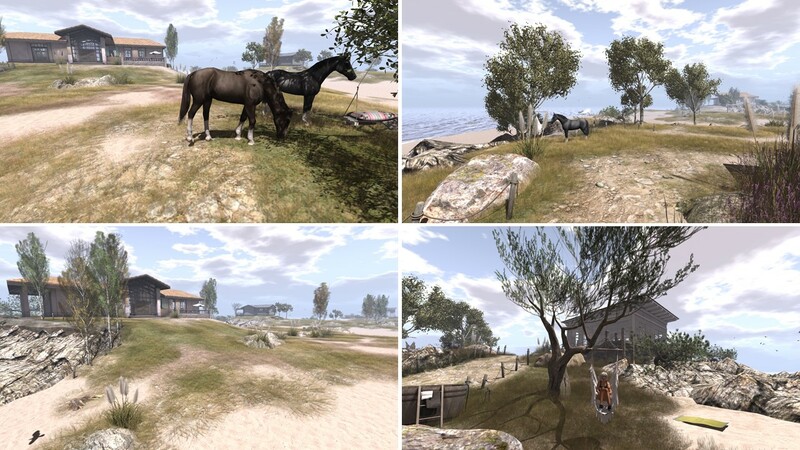 Walking along the path to the inner island you get to another lovely small house, furnished and decorated, surrounded by grasland and grazing horses. The other part of the island is named “High Rock”. No surprise, that it is dominated by a high rock, which is painted with graffiti, natives, a rainbow, hearts and other pictures. Below of it is a nice pond, more places to relax and sit and chat. I walked up the rock and the view from there down is just beautiful. There’re again several places to sit and to cuddle. Walking back and in another direction I came to a gazebo. Do I need to mention that it is furnished and offers lovely seats? *winks*. And nearby I met a grizzly. 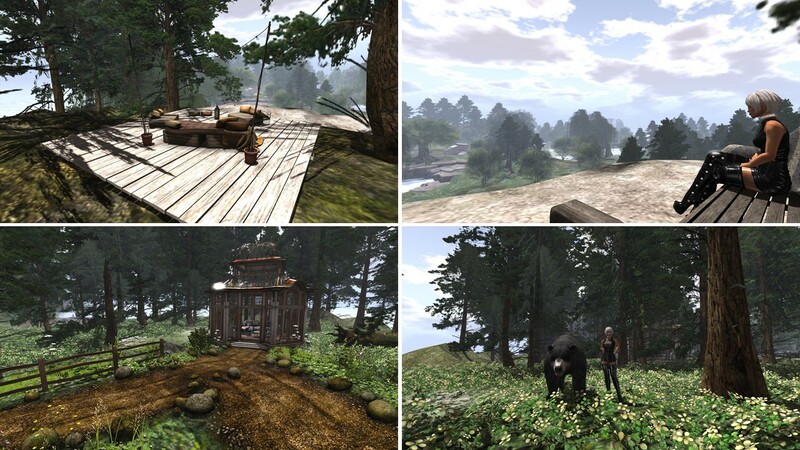 Thank god, it’s Second Life and I could even take a picture of me with the grizzly. Nearby is another beach. It belongs to Provincial Life too. I enjoy sitting there, took some more pictures and walked over to the house overlooking the beach. There’re sheeps grazing …. and they don’t mind that a group of grizzlies watch them. I didn’t go inside of the house, as it does look private. Provincial Life and High Rock is a nice place for exploring and for taking pictures. It felt like a short vacation for me, it radiates peace and sereneness and is simply fun. Thank you, Hania Amidst (amberfff), for sharing your place with the public. I enjoyed! 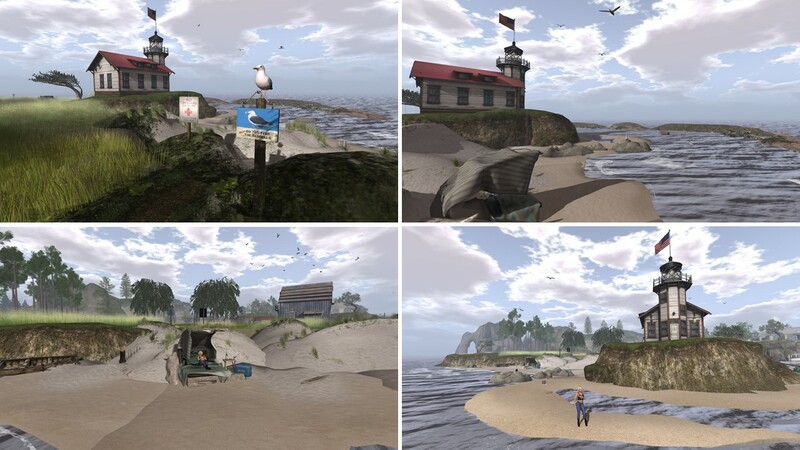 I came across Salt Water following Inara Pey’s “Living in a Modemworld” blog and read her post “A dip into Salt Water in Second Life“. Beach, Sunset, Couples, Mexico, Belize Mayan Ruins and Roatan. Sim and homes are open to everyone. 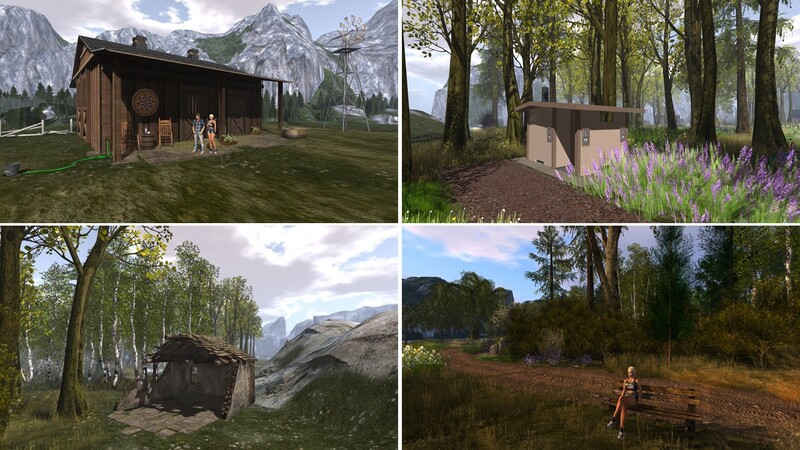 The (adult) homestead has been designed and created by Tippy Wingtip. 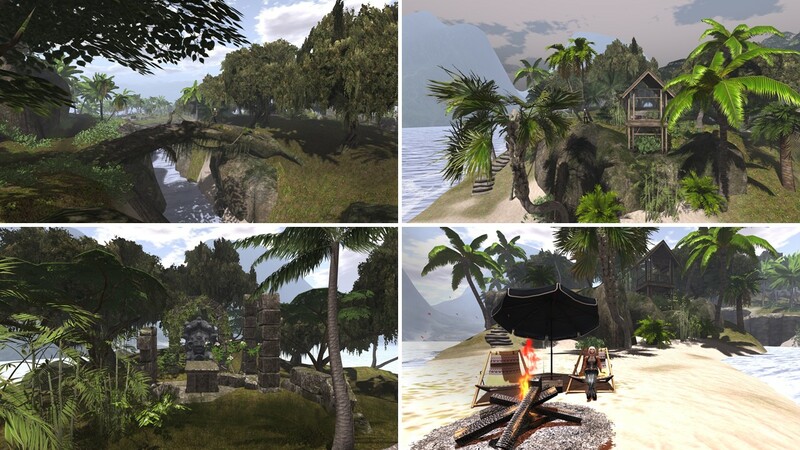 Kye wrote in her profile that Tippy completed her sim based on the photographs she got from Kye take at her trips to Mexico, Belize and Roatan. The landing is on a rocky high plateau with Aztec ruins. Angelique accompanied me on my visit to Salt Water. We first enjoyed the view from the high plateau to the beaches and the shore and to the rain forest below, then we went exploring. Salt Water is just beautiful, a paradise to enjoy and a great place to take pictures. On our way to the beach we came along some waterfalls and we saw a nice event and dance area. We walked along wooden paths at the beach and went into the 2 houses at Salt Water. At one, I met Kye and we had a nice chat. 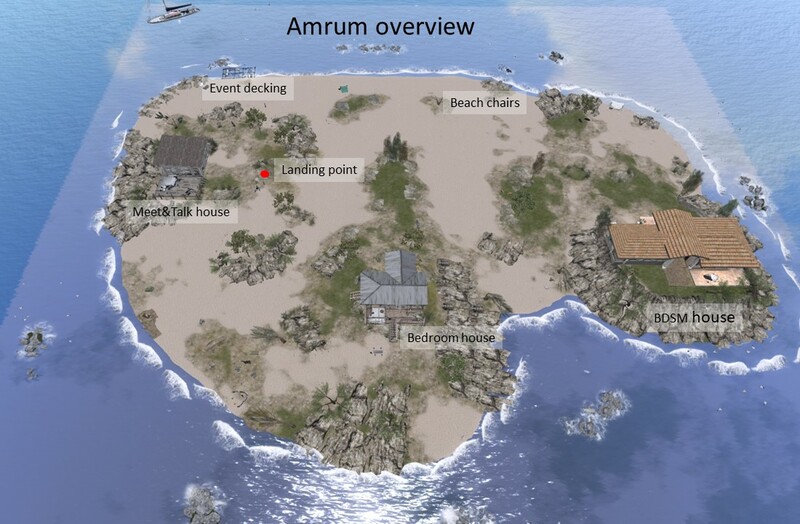 She once again confirmed that also the houses are public, she has a skybox as her private retreat. She also told me that Salt Water was opened to the public just recently. 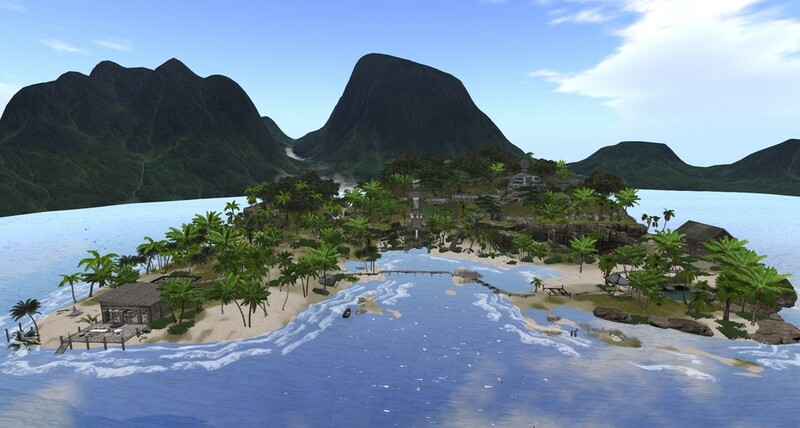 A smaller island can be accessed by a bridge built of a tree. I found the rests of an old temple almost fully hidden by trees and plants. Not only here you also find several places to rest, to cuddle, to sit, to dance or to just enjoy togetherness with a loved one. 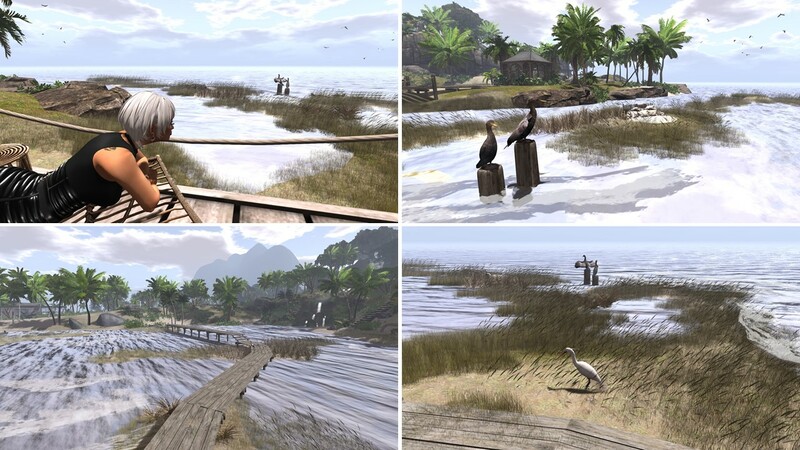 The nature and the whole set-up of Salt Water is a bit different to what I saw so far in Second Life. The rain forest, the Aztec ruins, the beaches, the paths, everything fits together and forms this little paradies. I haven’t ever been to Mexcio, Belize or Roatan but I’m pretty sure that Kye must feel like being in her own personal paradise when she spends time in Salt Water. Thank you Kye (Kyevaiy) for providing and sharing your place with the public! Thank you Tippy Wingtip for designing. I really enjoyed my visit to Salt Water. Monday, March 4th, I visited Lyric Art Gallery to see the exhibtion of SH Tutti and Michiel Bechir. I came aross it following Inara Pey’s “Living in a Modemworld” blog where I read about her visit to the exhibition (Chalkboards and photographs in Second Life). 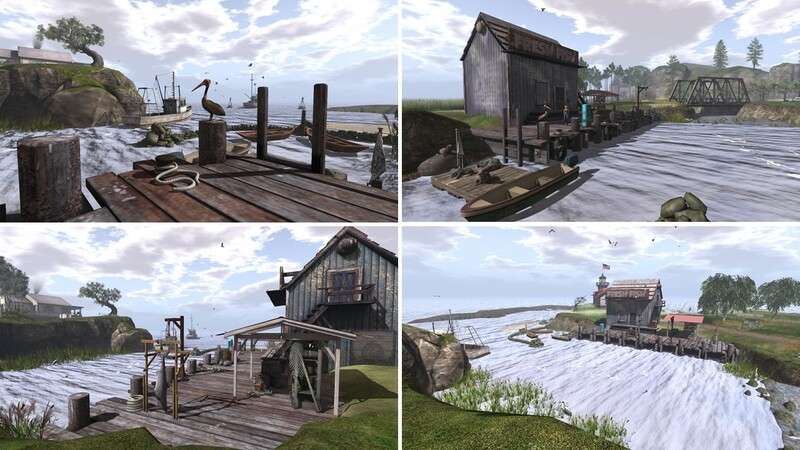 The Lyric Art Gallery is embedded in a modern fantasy roleplay sim called “Sea Island Modern Fantasy Roleplay”. The provided landmark leads directly to the entrance of the gallery. The gallery itself has 2 stories. On the ground floor the art of SH Tutti is exhibited, on the 2nd floor that of Michiel Bechir. 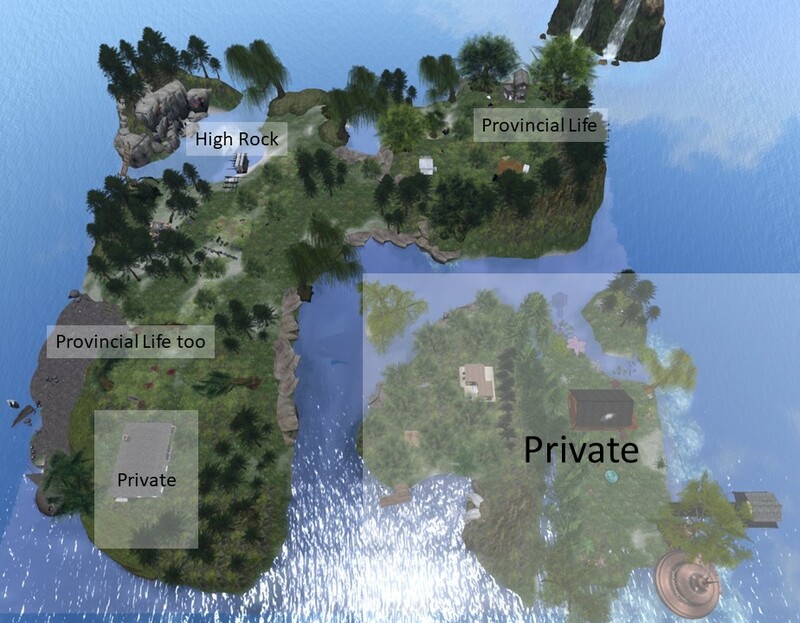 Despite her comparably short time in Second Life, she had already several exhibtions. She runs a store at the marketplace and writes a blog. The exhibtion at Lyric Art Gallery shows her chalkboard art. 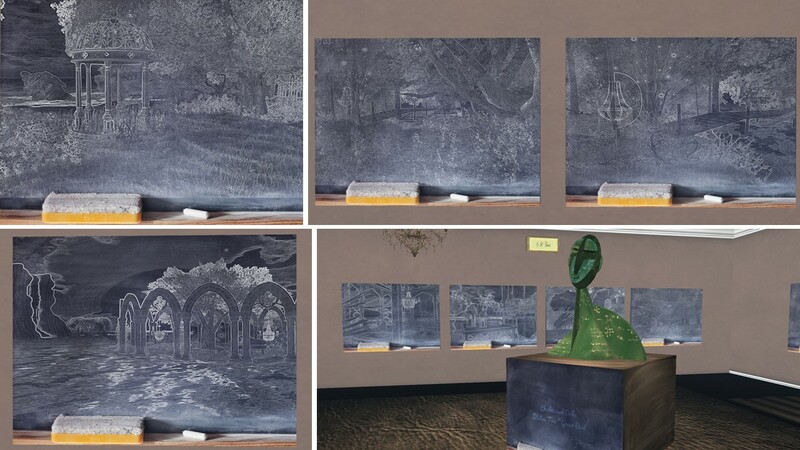 She took pictures from SL and processed them so that they look like being painted with chalkboard. And to make it even more evident, there’s an eraser and a piece of chalkboard at each exhibit. 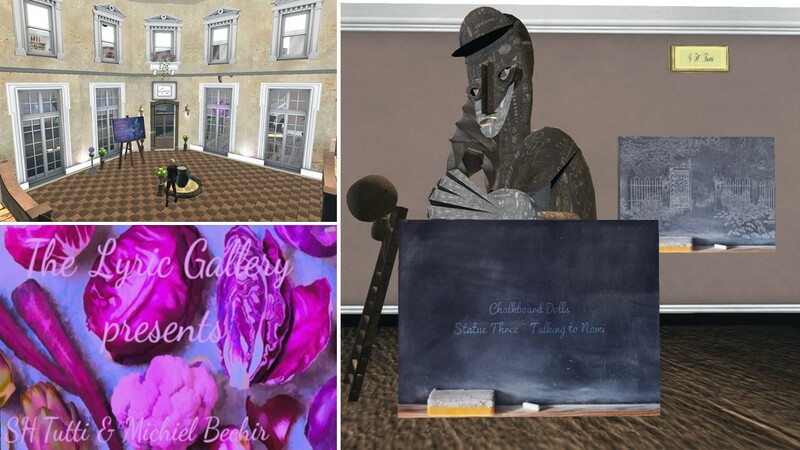 The processing into chalkboard pictures provides a new persective on what we see in Second Life. I read in SH Tutti’s notecard, which you can grab at the exhibtion, that a doll, she named it Nomi, is hidden in every piece of her art. Can you see it? 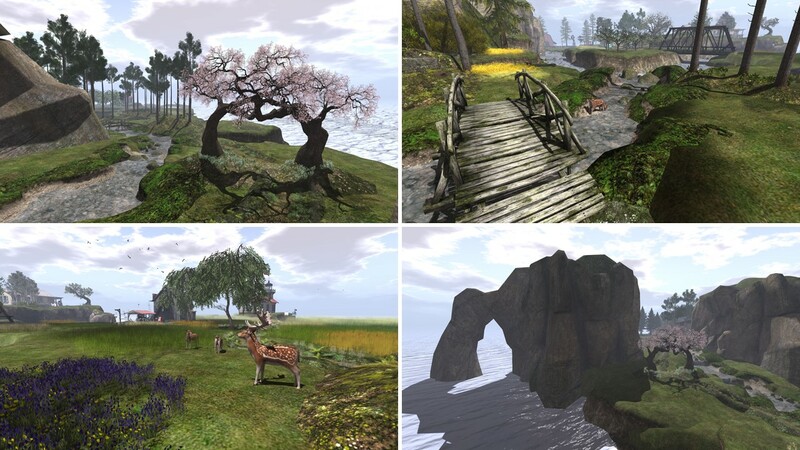 “I have started my long virtual journey as a photographer in Second Life in 2009. Michiel’s pictures are impressive as the processing makes them more colourful and highlights the beauty or the original picture. 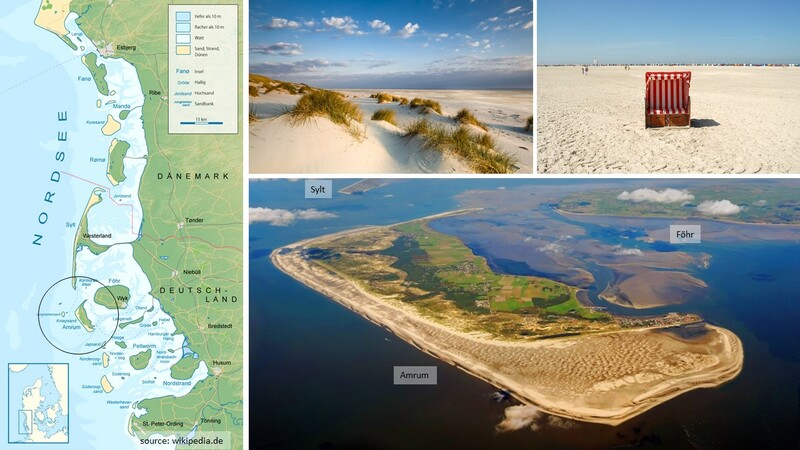 It’s nice to recognize places, I’ve been to myself like Dunkirk – La Digue du Braek or Wild Edge. I enjoyed my visit to Lyric Art Gallery. Thank you SH Tutti and Michiel Bechir for this nice and inspiring exhibtion and thank you to those that provided the spave for the art. I assume, that’s AineMari Flanagan, who founded the group that owns “Sea Island Modern Fantasy Roleplay”.